Friends may greet the family beginning at 10:00 a.m. Saturday, December 8, 2018, at Hugeback - Johnson Funeral Home in New Hampton. 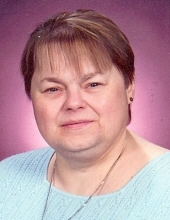 Pat was an avid reader, and especially loved the Harry Potter series. She enjoyed anything written by authors Nora Roberts and J.D. Robb. While living in Des Moines, she was an active member of the AT&T Clown Group, and would go around putting smiles on children's faces. She also wrote and published an internal newspaper for the entire company while working at AT&T. To send flowers or a remembrance gift to the family of Patricia L. Gilbert, please visit our Tribute Store. "Email Address" would like to share the life celebration of Patricia L. Gilbert. Click on the "link" to go to share a favorite memory or leave a condolence message for the family.